It rained up here yesterday, but my brief scouting last night showed that the roads were holding up fairly well. I woke up this morning to dry, calm skies with high clouds that seem to be breaking up. We might even get some sunshine by race start and temps are predicted up to 60. We will know more details about the road conditions when we flag the course this morning, but riders should prepare for a mix of muddy patches and puddles on mostly firm roads. At this point, we are definitely planning to use the original course and road bikes should be fine. Check-in starts at 10:30 and we depart at high noon. I am expecting the largest field ever to help create some great new stories of suffering and glory as we reunite at the top of the infamous REO. I rode all the tricky dirt sections yesterday and the course was in dreamy condition. I was using a road bike with 700x27 tubulars with minimal bouncing and never had to fight for control. There are a few short sections (100-400 meters) of loose gravel and a few potholes, but 95% of the dirt roads were firm, smooth, and fast. The big plunge down to the river was the most challenging and had enough soft spots to keep me at 30 mph, but I comfortably hit 40 on the other descents. The weather out there was 55+ with mostly blue skies. I only had to negotiate around 4 or 5 small puddles for the entire circuit. I wish we could have all been out there racing yesterday. Now the big X factor is how much rain will fall today and tomorrow morning. Despite dire forecasts, we have mostly had showers so far and I am hoping the mini desert rain shadow climate of the area west of the river will hold up well. The roads were dry enough yesterday that they should be able to absorb some rain without turning into a clay mud mess like last year. Anyway, I am still confident that we will be able to use the true course and will try to post another update tonight or early tomorrow morning. Regardless of weather developments, the race will happen and ugly conditions only make for more fun and better stories. Also, the post ride feast and celebration should be better than ever with great food, spirits, and even live music this year. Hope to see many of you tomorrow morning. Check-in starts at 10:30 (info flier attached). Feel free to reply with questions. I've had my fare share of equipment issues at the Speedwagon Classic and the Rocky Mountain Roubaix. 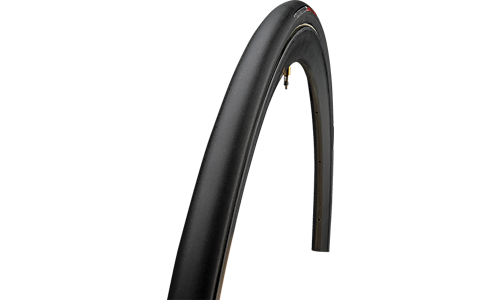 The first year of the Speedwagon I flatted my Schwalbe 25m clinchers within 10 miles of the start. I used 3 different variations of Matt Seeley wheels and barely finished. The next year I used a similar setup and had similar results. My first 4 years of the Rock Mountain Roubaix I flatted out. 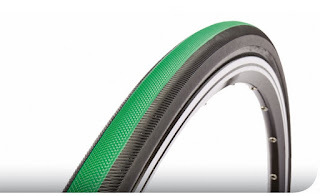 3 years I pinched flat clinchers (Maxxis Re-Fuse, Schwalbe, and Vittoria). 1 year I hit a rock and popped a Vittoria Tubular. For the last two spring seasons I've had mixed results with equipment. 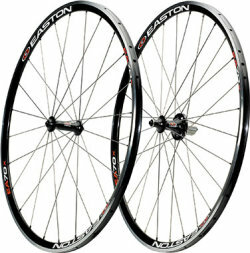 I had a set of Easton SLX70 Tubular Wheels and set of old Zipp 440 carbon wheels. Two years ago I rode the Easton's with an old set of 22m Continental Tires. They were excellent. No flats, and no problems with the wheels. Last year I rode the Zipp 440's with the Specialized Tubular tire below. Even in the muddiest Speedwagon ever the tires were fine and the wheels actually helped shed a lot of mud and water. I decided to race them in Roubaix as well and they were fine. Right around late April I discovered a large crack around the braking surface. Although the 440's were old and used, I still wouldn't recommend riding carbon rims for the spring classics. I raced them for two seasons of cyclocross, but I think the speeds of the dirt descents and loose rocks really killed them during road season. The Eastons have been a great wheel (especially if you can double up with them during cyclocross). You see lots of the best riders in Montana (Herzig, Tack) ride clinchers during these races and have great success. That is a big reason why I didn't switch for a long time. I think you have to find what works for you. The most important thing is to be able to race with confidence and forget about your equipment during the event. I've never been huge on the cross bike with road wheels. If the cross bike is the nicest bike in your quiver then I understand. Overall though, I don't like the gearing (most of the spring classics come down to a small group sprint) and there isn't enough mud to justify having the extra clearance. Now that I've stated that, Saturday will be showers and there will be a foot of standing water on the back roads of Polson :). Bottom line, race what gives you confidence, but always put some thought into it. You'd rather finish then DNF. This is the Pave from Vittoria. Lots of history, used by most big name Pros at Roubaix, Flanders, ect. Flathead Russ used these last year in the classics. I'm using a cheaper version of this tire for 2012. Affordable, durable, and versatile, the Easton SLX70. Busted these wheels during the Spring Classics last year.